Click here to open up the cut file in Cricut Design Space. Then size to fit your board. Cut with your Cricut machine from either card stock or stencil material. Please note that this file is extremely similar but I was recreating something I made several years ago and there are slight differences. Add a really light coat of white paint over your entire board. The secret to a worn finish is to use a really dry brush and move it quickly over the surface. Allow this to dry completely before continuing. 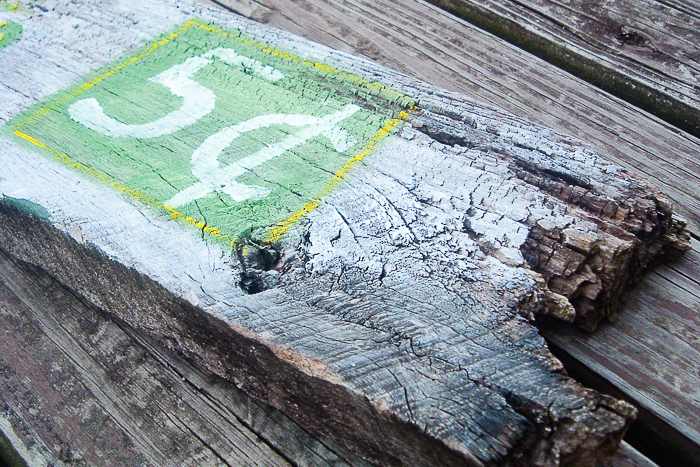 Tape your stencil into place and use green paint to go over everything except for the lemon. For it, use yellow paint. Remove your stencil immediately and allow to dry completely. Again, I use a really dry brush and barely get any paint on the surface. 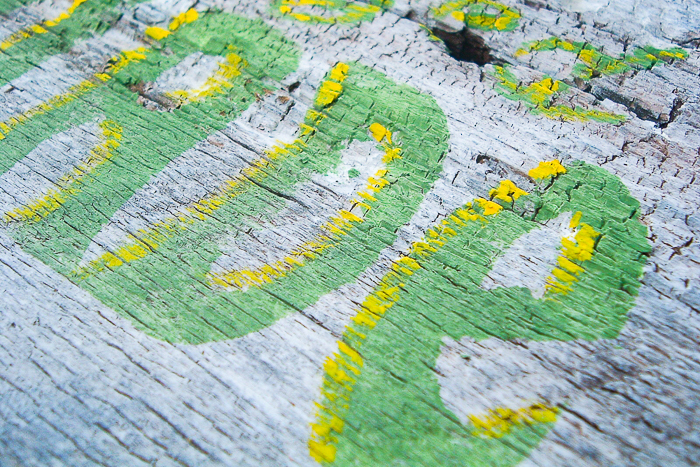 Once dry, paint yellow down the sides of your letters to get a two-toned effect on your wood sign. 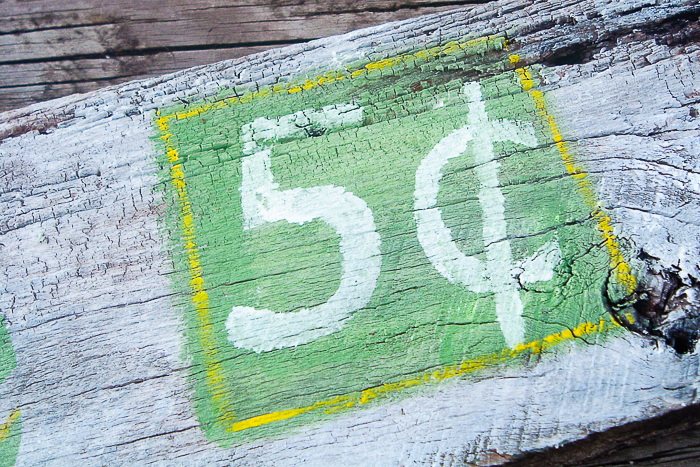 Add white paint over the 5 cents portion of your sign. I also took the yellow and added a few lines around the outer edge of that square. 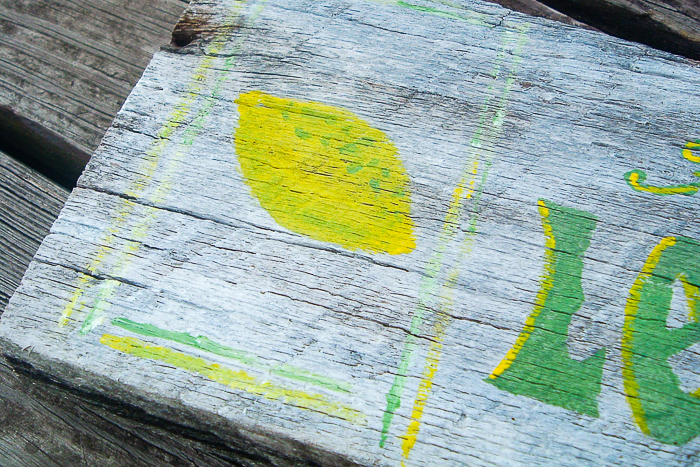 You can also add a few green touches to your lemon as well as a few lines around it making a rectangle. Allow everything to dry and your wood sign is complete and ready to be displayed. You can also add a coat of clear spray sealer over the entire thing if you wish to help protect the finish. Need help with your Cricut machine? Be sure to download our beginner’s guide here! 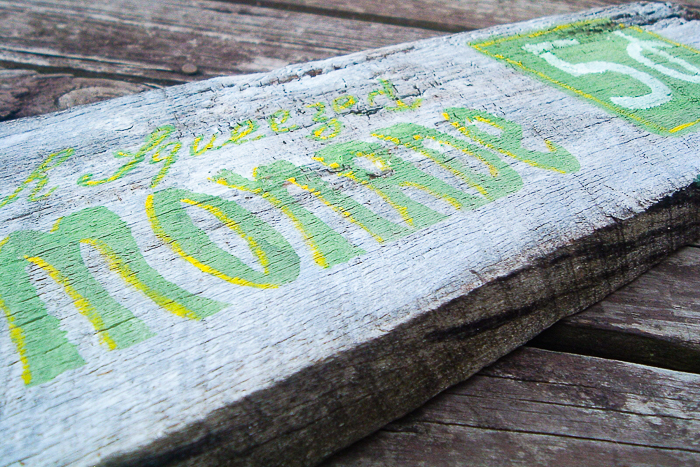 This rustic wood sign will look great in your home indoors or out. It is the perfect way to welcome in summer this year! 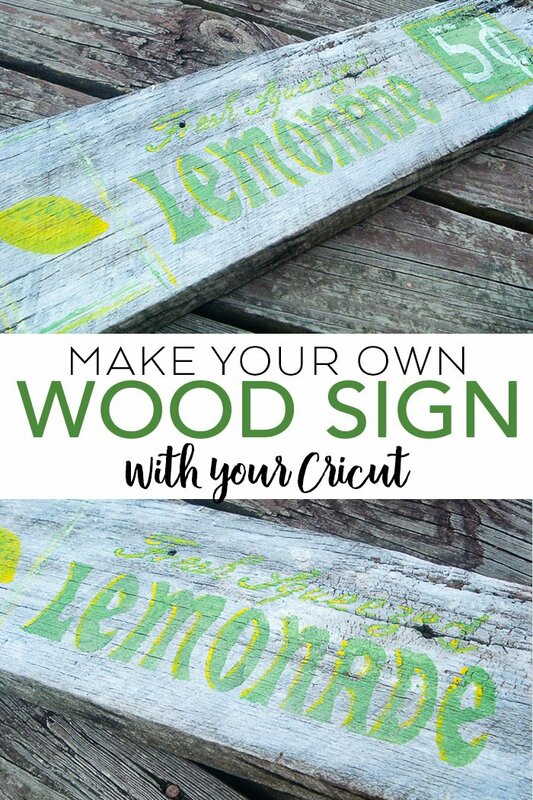 Now that you know how to make your own wood sign, you can use this same technique to make any sign you can dream up. I used a rustic, worn board for my sign with a battered end but you can choose to use a new board right from the home improvement store for a less rustic look. Choose to make your own wood signs however you would like and they will look great in your home! 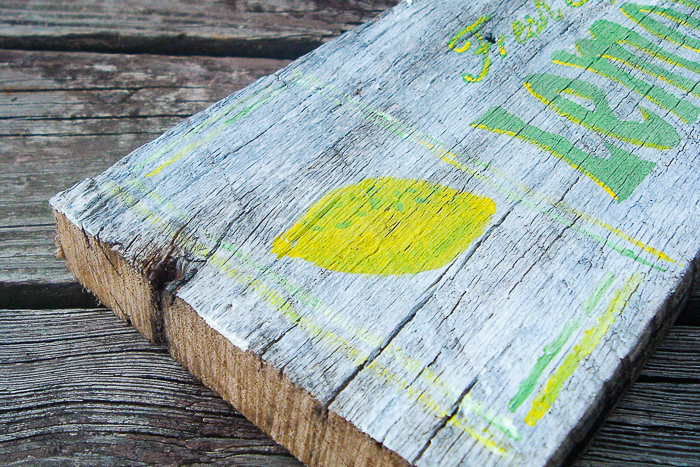 Use our techniques to make your own vintage wood signs for yourself or even to sell. 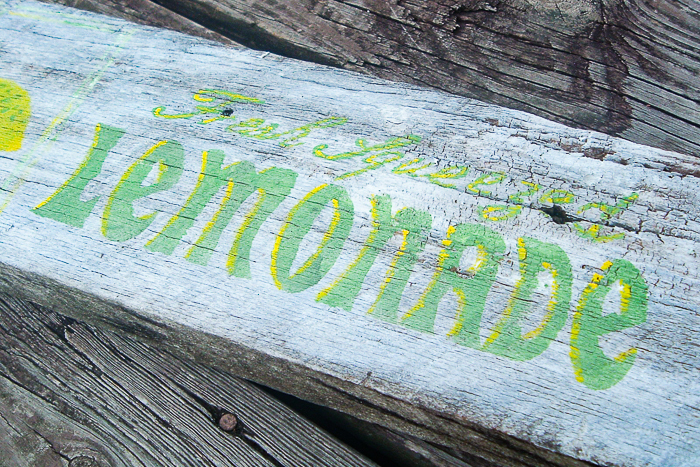 After all, everyone will love this fresh squeezed lemonade sign for their farmhouse! 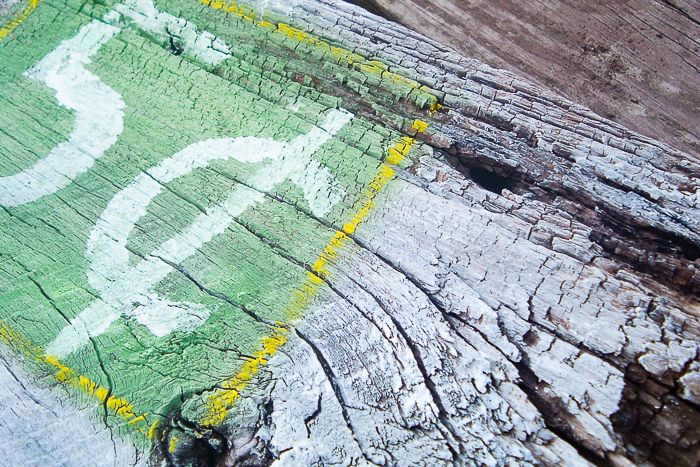 Love to make your own wood sign and want more ideas? Try the links below! It’s great, Angie! I dunno, I’m not that talented. But I’d give it a try. Thanks for the inspiration! It is really cute…and I love the board you used! LOVE THIS!!! Great idea and great tut! Very cute! I love rustic wood too. Thanks for sharing. Love you chose a rough board to make the lemonade sign! So shabby chic! Awesome! That’s making me thirsty. I love the font…what is it called, do you know? Love your lemonade sign. So cute! I totally love this! The colors look great and the rustic wood is perfect! Hi Angie, Very cute and perfect for Summer! Love the milk can too. Thanks for joining my party this week. I love this, nothing says summer like some good lemonade. Thanks for sharing! The sign is very cute! It really makes it feel like summer time. Very cute! I love the whole arrangement:) I’m a new follower! Well that just turned out wonderful! Your inspiring me to give my hand at this project! oh my gosh, i am loving that whole set up! how fun are those chevron flowerpots, i’ll have to try something like that. great idea, and the lemonade sign is adorable! Your etsy shop has some great finds! Hi Angie – I’m a new follower, and a new signmaker, too. 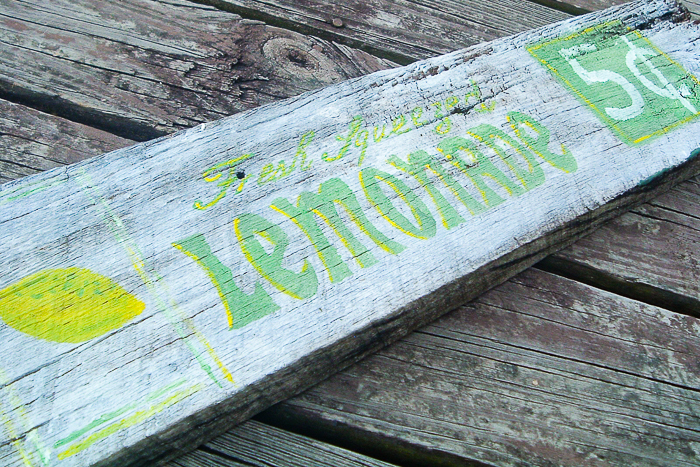 Love the two-tone effect on your lemonade sign to add some emphasis. Great idea! Will be back to visit again very soon! I love your lemonade sign!! So funny because I just wrote a post about my two little boys and their lemonade stand 🙂 And theirs was 5 cents too! haha! We need YOUR sign, tho……much nicer! Angie, your sign looks really good,so fun and summery! Love your new blog design, too! 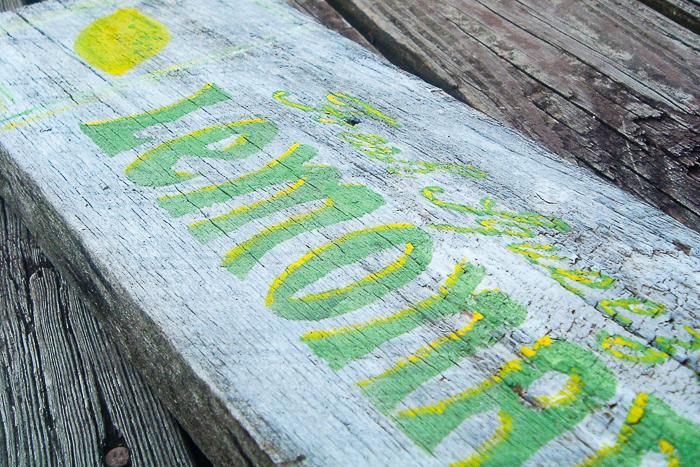 I’m a lemonholic so I love the sign! Very cute and terrific way to repurpose! What a cute sign! the colors are perfect! I’m stopping by as the guest judge from CSI Project!